The Old Inn, Holton have launched their Chef's Table, a private dining room available for hire so you and your guests can enjoy a personal dining experience with your own waiter and mini-bar. The Old Inn is the Best Food Pub in the UK! The Old Inn recently scooped the top prize for the National Pub Awards hosted by the Morning Advertiser, in the Best Food category. Fancy a special event with a Caribbean twist? Fantastic food and a day of music at The Old Inn, including a solid steel band and other local acts on Sunday 29th April. We are pleased to announce the launch of our wine club with a special event on Friday 25th February. 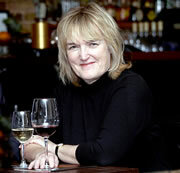 With wine expert Fiona Becket and Tim McLaughlin Green. The Old Inn Bar and Restaurant was listed amongst 700 pubs as being highly commended at the National Gastro Pub Awards 2010, in the Best Newcomer category. Not bad for a little pub in the country!